» Dangers of Free VPN: How Can You Unknowingly Be Involved in a Cybercrime? “Free” does not always mean “safe” when it comes to accessing restricted websites with the help of free VPN. When using such services, you put your private data to great danger, as some third parties may get access to it. 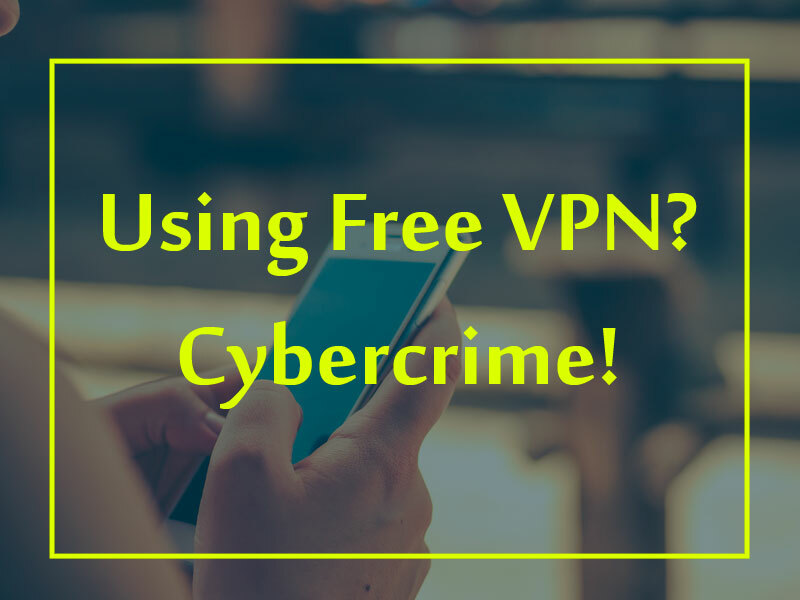 Besides, by using free VPNs, you are also unknowingly helping others to use your Internet connection in order to conduct some illegal activities on the Internet. Why people use free VPNs? You have probably noticed that some streaming services or websites of some countries are blocked in others. To bypass these restrictions, some IT specialists have created VPNs and proxies that reroute the traffic of your PC and make it look as if you are located in some other country of your choice. Therefore, with the help of it, a person living in China can easily get access to Netflix or some BBC iPlayer. Such opportunities and completely for free – sounds great, doesn’t it? However, if you get access for free, be ready that you will pay for something else – your privacy, for example. Therefore, to inform you of such danger, we have prepared this article to reveal the dark side of VPN and proxies. When you use a free proxy, the data is not encrypted, and therefore all your information can be easily read and obtained by some third parties. In such way, your private data may be stolen, sold to others or used to steal your identity. Though VPNs are considered to be safer, they may also use the data from your computer and use your IP address for some kind of cybercrime. Hola Unblocker is a free VPN service that is potentially dangerous. You can download it as an extension for Firefox and Google Chrome. In particular, it is widespread among people who want to watch Netflix or get access to other websites that are blocked in their countries. However, when you use it, the Internet connection isn’t secure any longer. Besides, you might unknowingly become an accomplice of some serious cybercrime. Unlike proper VPNs, free ones do not encrypt and secure your data from hackers and snoopers. Concerning Hola Unblocker, it is technically not a traditional VPN – it resembles a peer-to-peer proxy. The spare bandwidth that is sold by Hola to its users can be used for any purposes – even for spreading huge amounts of data across the web. Another con of this program is that Denial-of-Service (DoS) attacks can be used as well, thus collapsing websites. How do you feel now about VPNs and the other free ways of accessing restricted websites after reading so much negative information about these activities? Are you really fine with the fact that your Internet connection might be used for some malicious activities and cybercrimes? With the help of this article, we just want you to become aware of the privacy and security issues that you might encounter while using free VPNs.